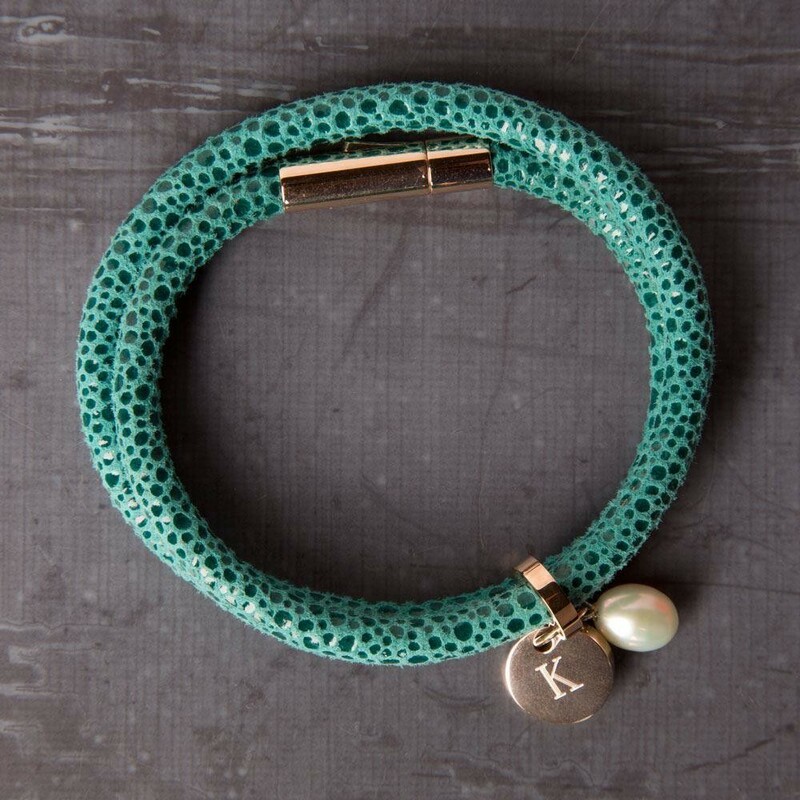 This turquoise bracelet is made from soft calf leather which has been treated to give the effect of droplets on the surface. 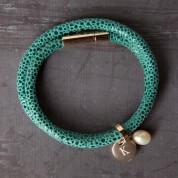 The double wrap around style is very fashionable and will suit any female's wrist. It can be worn by itself or various bracelets stacked up for casual every day wear or formal events. The bracelet features a fresh water pearl and a stainless steel disc for engraving. It can be easily taken on and off with the stainless steel clasp. This gift is ready to present in a branded gift box so it can be stored away safely when not in use. We personalise each bracelet in house so any recipient's first initial can be used. Dimensions: Approx 38cm (it is a double wrap around bracelet so will fit any standard sized female's wrist).